Here we list five Test matches between India and Australia that withstand age and are considered among the best advertisements that the game has received over the years. Team India will be taking on Australia in the first of their four-match series starting at the Adelaide Oval on December 6. Virat Kohli’s men have a great opportunity to register India’s first-ever series victory in Tests Down Under since the hosts have some big names missing from their ranks because of a ban. 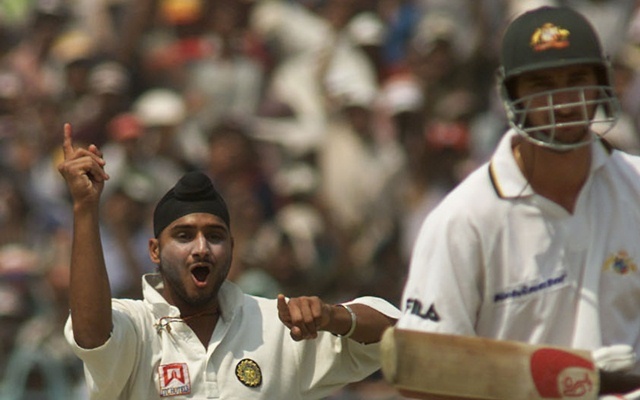 India have only succeeded in drawing three-Test series in Australia – twice in the 1980s and once in the 2000s. The two teams have played each other 94 times in the longer format so far with Australia winning 41 times and India 26. They have also drawn 26 times only one match was tied, one of the two in the history of Test cricket. There have been some absorbing Test matches in the past between the two cricket powerhouses even though the Australians have an edge in the statistician’s books. Besides the tied Test, the two teams were also involved in a historic match in which one team won despite being asked to follow-on while on another occasion, India snatched a 1-wicket victory which is their narrowest in Test matches. Here we list five Test matches between India and Australia that withstand age and are considered among the best advertisements that the game has received over the years. The Australian team led by Steve Waugh was at its peak then and reached India after winning 15 matches on the trot. Steve considered India his final frontier as the Aussies did not win a series here since 1969-70. The visitors crushed Sourav Ganguly’s men in the first Test in Mumbai by 10 wickets to take the winning streak to 16. Then came the historic Test. Australia won the toss in the match (1,535th Test in history) and elected to bat. Powered by the skipper’s 110 and 97 from Matthew Hayden, Australia scored 445 despite a hat-trick from Harbhajan Singh and then bowled out the hosts for a paltry 171. VVS Laxman was the highest scorer for India with 59. The Aussie bowling attack comprising Glenn McGrath-Jason Gillespie-Michael Kasprowicz-Shane Warne took India in the second innings after Waugh enforced a follow-on and then it was a miraculous comeback. Laxman (281) and Rahul Dravid (180) put up a partnership worth 376 runs for the fifth wicket to power India to 657 for 7 declared in their second innings, giving Australia a winning target of 384. The time that remained to enforce a win was not too much but once the visitors’ middle order started crumbling after the skipper’s dismissal, India sensed blood and bowled Australia out for 212, winning the match by 171 runs – the difference that the visitors gained in the first innings. It saved India the series (they eventually won it 2-1) and also stopped the Australian juggernaut in the most incredible way possible. Laxman was adjudged the man of the match. © 2019 Cricket Tracker Networks (CricTracker) All rights reserved.